If you’re a GM racing fan, you’ve heard of Andy Pilgrim. If not, you’ve come to the right place. A veteran to racing — all kinds of racing — Pilgrim now drives the No. 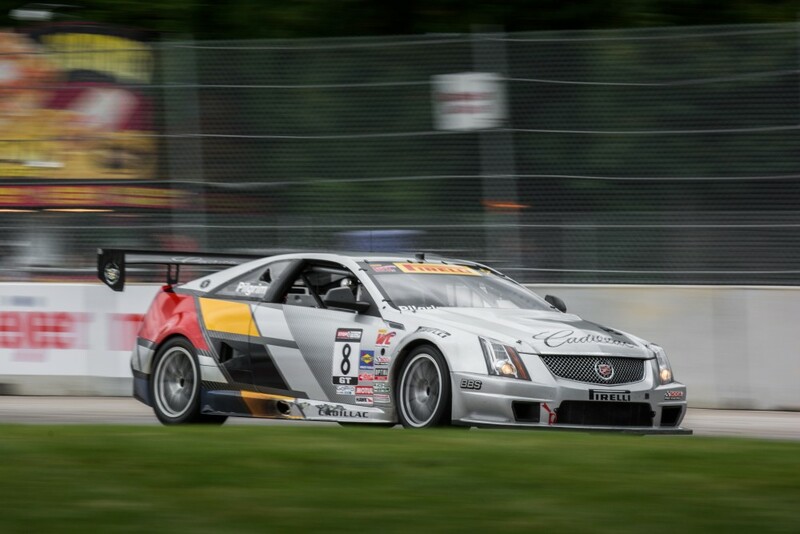 8 CTS-V.R for Cadillac Racing in the Pirelli World Challenge Series, with teammate Johnny O’Connell manning the No. 3 car. But unlike most motorsport personalities, Pilgrim does more than just drive. The Boca Raton, Florida resident is also a business owner and philanthropist who works on making the roads America uses safer every day by educating drivers beyond what they would normally learn in a normal driving school. And somewhere in between all of that, he finds time for sleep, and golf (sometimes). It all began when Pilgrim was in school on a scholarship Nottingham, which he actually walked away from because he was offered an IT job before the conclusion of his degree. Pilgrim claims to get bored easily, and at the same time wanted to make money. So it took minimal contemplation to quit school, and start his IT career at 20 years of age, earning one of the eight jobs that hundreds of people applied for. Realizing that Pilgrim was still in college, his new employer offered to save a spot for him until he finished his degree, but Pilgrim promptly stated that he would be able to start Monday. As for Pilgrim’s motivation to earn money over getting a degree… it was none other than racing. But not car racing; motorcycle racing. And making a decent paycheck meant that he could fund that expensive aspiration. At the time, Pilgrim owned and raced a Kawasaki 500 H1, AKA “The Widowmaker” — a 12-second bike with a 20-second body. Eventually, the IT job allowed him to apply for a contracted computer programming job in the United States with General Motors two-and-a-half years later. As a 23-year-old, Pilgrim was an IT professional, residing in Pontiac, Michigan — a pretty rough city, as our Michigan-based readers well know. Despite the dangers, Pilgrim walked to work, and said he had no issues or misfortunes that people may come to expect from a city with such high crime and unemployment rates. Regardless of “being the guy with the funny accent,” he was totally accepted by everyone in the neighborhood. It could have been partially because nobody told him of the possible dangers from living in Pontiac beforehand. “Pre-conceived notions can stop you from doing a lot of things. I guess I don’t have that. I’ll check it out myself and figure it out,” says Pilgrim. In 1989, at 33-years-old, Pilgrim began his own IT consulting company titled Electronic Computer Services, Inc. — something he still owns and runs to this day — and again with the goal to help further fund his racing career. To point, Pilgrim realizes that starting a business to help run something else is probably not something they’ll teach in the Stanford Business School, but since he never went to classes there, that’s exactly what his company was for in his eyes. 24 years later, the company has bloomed, yet Andy doesn’t let his now-established racing career from keeping him from knowing what’s going on within the company. Want To Race Cars? Enter Autocross. When it comes to racing cars, Pilgrim has done pretty much everything over the years, and as you would expect, had humble beginnings. Pilgrim first began autocrossing in a 1983 Volkswagen GTi, where after he began professional road racing in 1984 in the IMSA Renault Cup, receiving rookie of the year honors in his first year. It didn’t take long for the big leagues to notice. In 1996, Pilgrim entered his first 24 Hours of Le Mans. 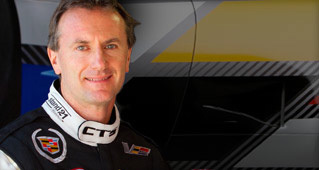 In 1999, he was selected as a member of the official Corvette Racing team back with the C5.R. In 2001, he was a teammate to Dale Jr. and Sr. in that year’s 24 Hours of Daytona, finishing second in their class. And in 2004, he was the overall victor in the 24 Hours of Daytona. It was also when he joined the Cadillac Racing program in the World Challenge Series, until the program was temporally shut down due to budget cuts in 2008. Then came his time racing with recognized Motor Trend track tester Randy Pobst and the K-PAX Volvo Racing team in 2009. 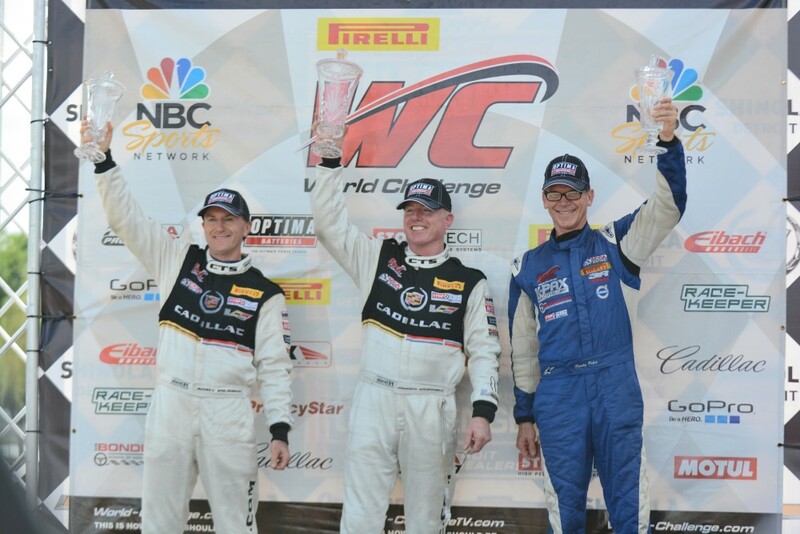 And in 2010, it was back with Cadillac Racing with teammate Johnny O’Connell, the two of which most recently competed in the Belle Isle Grand Prix two weekends ago, which we covered extensively. Compared to the original CTS-V.R race cars, Andy claims there’s a minimal difference. Both vehicles must abide to the restrictions set forth by the World Challenge Series, both utilize the GM Sigma platform, and both were engineered by Pratt & Miller, the race engineering firm that also collaborates with Corvette Racing. What was the biggest difference between then and now are the tires, using proper racing slicks instead of road tires from years past, making a difference of seven seconds a lap. Still, Pilgrim says that the car continues to slide — slightly — around every corner. Yet compared to the other GT cars, such as the all-wheel-drive Volvos with their exceptional cornering, or the Audi R8s, which are basically FIA GT3 cars (meaning they’re overbuilt for World Challenge racing), the CTS-V.R comes in as a bit of an underdog, being based on slightly older racing technology, possesses fewer downforce and is slightly heavier. Though Pilgrim notes that the current race car can take a high-speed corner and brake with the best of them. This is what makes the current Pirelli World Challenge Series such a great racing league — every team is racing with something different, bringing different attributes to the track, mixing it up for incredible action. While many drivers have their superstitions, Pilgrim has no odd rituals. He doesn’t have a pair of lucky racing shoes, and he doesn’t need 20 minutes to focus and get ready. He takes pride in his ability “switch on” his focus, and to quickly adapt to the track, and the characteristics of a race car. The biggest factor Pilgrim uses to win, is studying the racing data logged by the car and the team, and using it to his advantage on the track. Yes, Pilgrim has raced touring cars, GT cars, Daytona Prototypes… oh, and even NASCAR in 2007 for JR Motorsports, pinch driving for a pair of road course stints. He even set a world record, finishing 116 consecutive IMSA races without a DNF between July, 19 1992 and September, 19 1998. In that span he won 25 races and three IMSA championships, with a 3.71 average finish. Glorious, but Pilgrim doesn’t have seemed to let his storied career go to his head, as he’s currently going beyond the call of duty, and established his own foundation. The Andy Pilgrim Foundation is really what separates him from the rest of his colleagues. It’s where he spends his time, money and patience teaching new drivers the importance of driving safely and the dangers of distracted driving. This is something, according to Pilgrim, that no other professional racing driver dares to do. Sure, they cameo in the occasional “don’t text and drive” PSA, but what he’s pushing for here is much more than that. Here, Pilgrim looks to educate new drivers about proper driving attentiveness and techniques that will help decrease the horrifying statistic that driving crashes are the number one killers for teenagers. It was actually a fatal driving accident involving two teens that he witnessed back in 1989 that motivated him to start the Foundation. To extend his reach, Pilgrim produced a DVD with Dale Earnhardt Jr. in 2004 titled the “The Driving Zone,” and gave away over 40,000 free DVDs to new drivers across the US. Then smart phones happened. This prompted Pilgrim to produce “The Driving Zone 2” in 2010, highlighting the dangers of using electronic devices while driving. Since the release of the second DVD, the Foundation has had requests for the DVD from driver education teachers and parents in 42 states. With these informative videos, driving schools across the country can modernize their driver’s education course, teaching kids the perils of bad modern driving habits from the classroom. He might not re-write the far-too-easy driver’s education system America currently, and sadly, implements by himself anytime soon, but he’s certainly making headway. And believe it or not, Pilgrim’s been using the term “distracted driving” before it was cool — dating back to 1995, when he first began lecturing kids about proper driving habits in Florida. Pilgrim also travels, and speaks publicly at driver’s education conferences across the country, furthering his reach and influence. Those looking to aid his cause (as we all damn well should!) can make a donation, and/or buy a DVD. We all might learn something from watching it.